A tasting of three pieces of Pecorino Romano aged for different lengths of time and drizzled with honey. Ristorante Don Beta is a small but popular little spot on Via Giacomo Matteoti in Volterra. The food overall was decent, but there were a couple of dishes that were so standout we ended up going back the very next night so we could have them again. 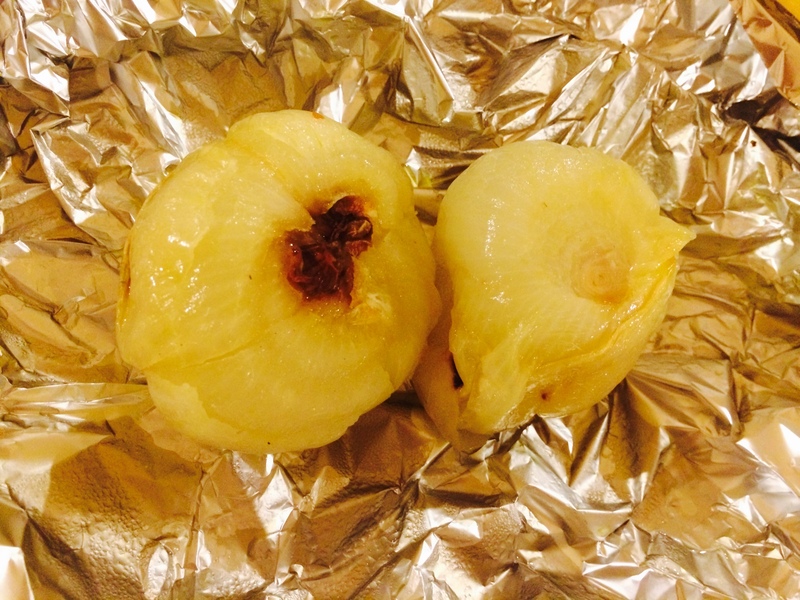 The first thing we returned for was the onions baked in foil, which was simply too incredible to have tried only once. Like so much of Tuscan cooking, simplicity is the key in this melt-in-your-mouth dish. 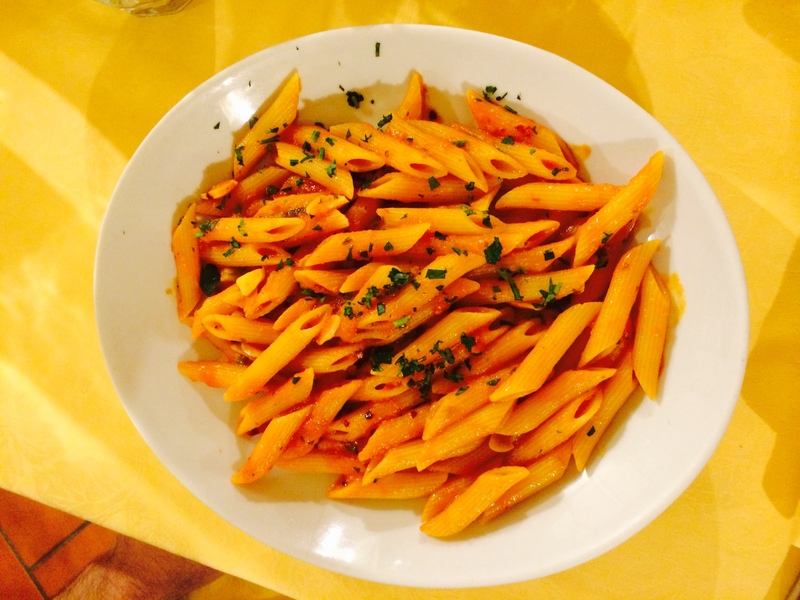 The other was the Penne Arrabiata, which was the best I have had anywhere. I shared this with my husband the first night and really needed to come back and have a plate all to myself! When we returned on the second night, I saw a server pass our table holding a plate with three cheeses and we ordered that as well. The plate consisted of three pieces of Pecorino Romano that were made by the same farmer, but had been aged for different lengths of time. These were served with some lovely local honey. In my experience, there is nothing that compares to eating Pecorino Romano right in Italy. The youngest cheese was soft and mild, while the oldest was harder and earthier. The mid-range cheese shared attributes of both. I kept trying to decide which one I liked best, but every time I took a bite of another one of the cheeses for comparison I decided that it was the best one there. They were all so good!! swooning. Totally seeing what you mean about simple. Wish we didn’t get so complicated here in the U.S. All we need is a plate of three cheeses (one cheese, three variations really) and local honey. Perfection. You are one lucky foodie!!! Thanks, Liz! You always make the nicest comments. 🙂 Now, if only we could access that amazing pecorino Romano here in the US! Though there are some lovely little farms producing some great cheeses right here. I need to experiment with those more! I have enjoyed reading your post. so did you have a whole plate of Penne Arrabiata the next day? I probably would loved the mid-range cheese best. The older ones tend to dry around the edges. Happy New year and wish you the best of 2015!